Today’s post is going to teach you what we call the Split Stamping technique. This technique is exactly what it sounds like: You split your stamp image. There are a few different ways to do this. 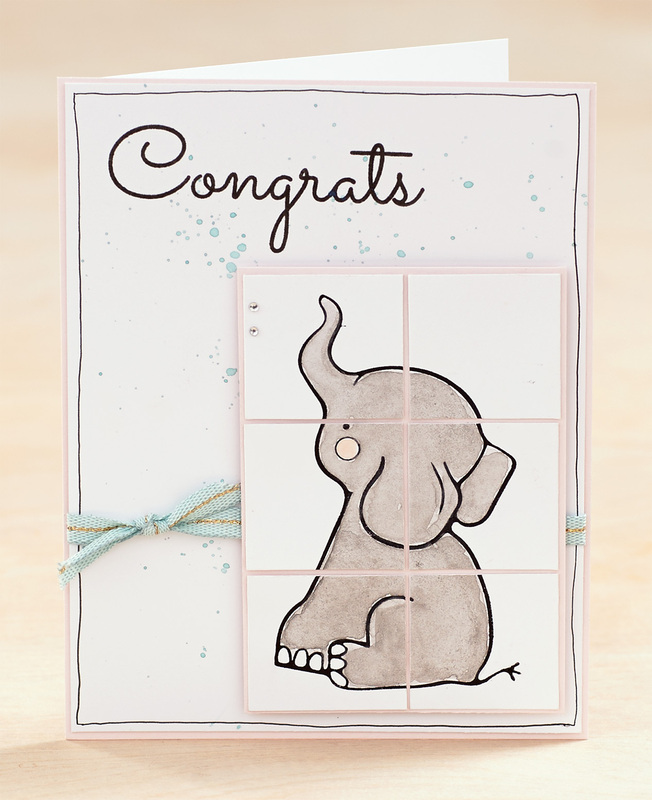 One of the easiest ways is to stamp an image onto a piece of cardstock and then cut it into pieces, like the elephant below. Cutting up an image and reassembling it on your artwork is a unique way to draw more attention to your stamping. Another way you can “split” your stamp is with masking. Not sure what we mean by “masking”? Masking is when you cover up part of your stamp or paper before stamping an image. Here, we attached a strip of cardstock across the center of our card with just a little bit of adhesive so it wouldn’t slide around. 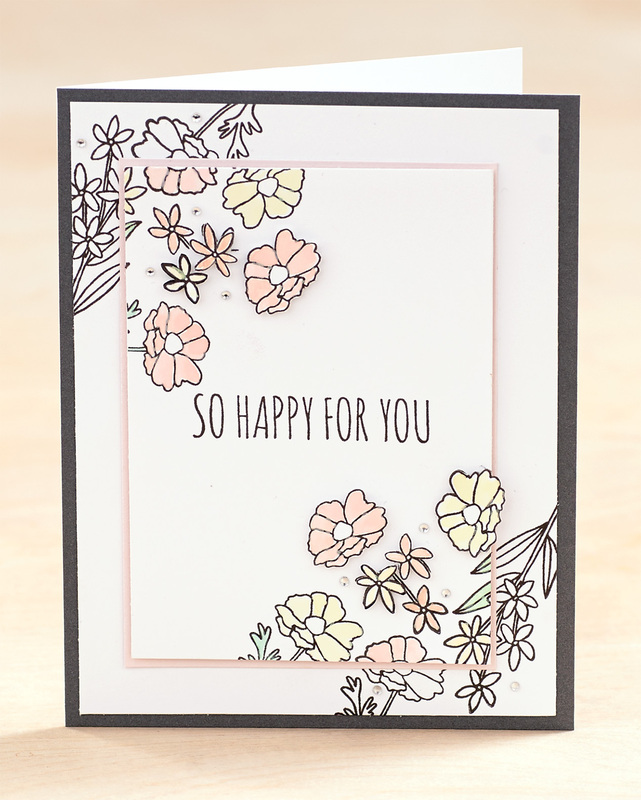 Next, we stamped our flowers along the top and bottom of the card, overlapping them slightly with the strip. 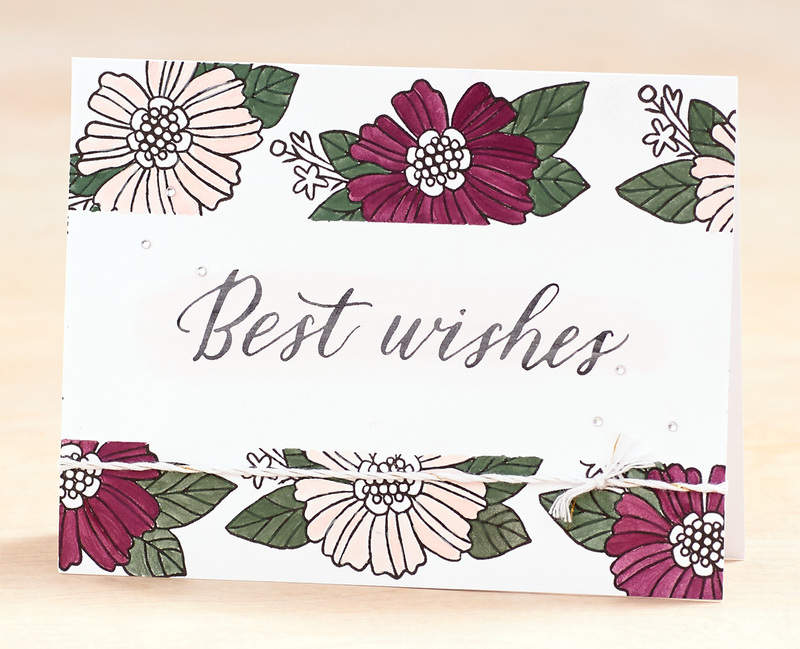 We then carefully peeled off the cardstock strip, removed any leftover adhesive with our Rub & Remove™ eraser, painted our flowers, and then stamped our sentiment. For a more advanced spin on this technique, try incorporating the piece of cardstock you use for the masking! For this card, we cut both pieces of White Daisy cardstock, attached the smaller piece to the center of the larger piece with a little bit of adhesive, and then stamped our flowers over both pieces. Next, we carefully separated the smaller piece of cardstock from the larger one, painted our flowers, and popped the piece up on Bashful cardstock with 3-D foam tape. To add even more dimension, we also stamped some of the blossoms on scrap paper, painted them, trimmed them out, and then attached them over the matching blossoms with 3-D foam tape. Thanks, artymaz! Stay tuned on the blog, as well as our Facebook and Instagram accounts, to see more stamping techniques! Love all of these!! CTMH is the best!! Just love that third technique, something I shall definitely have to try this weekend. I love it! Especially the ‘So Happy for You’ card! I like that! Especially the one shown with the elephant! What great timing! This is just what I needed for my project tomorrow. Thanks! Oh perfect! Good to hear, Susan! Love this idea! Great stamp choices. Keep up the the great creative ideas. Awesome tips for new consultants to use. Glad you liked it, Karyn! I love each card idea, and I’m sure I’ll try it out myself. Thank you! I love this method and have used it for some time. I like doing triple layer stamping for cards, and have incorporated the double layer on a layout. I could do triple layer too! Hmmm… Off to the craft room!